Jared has grown up around and participated in many sports right from when he was 4 years old! This eventually led him to pursue a degree in Health and Human Performance at Cumberland University. Jared is Strength & Conditioning Coach Certified(SCCCC) as well a Certified Strength and Conditioning Specialist. He has always been passionate about health and human performance and eventually opted to pursue a specific route in strength and conditioning. Being an athlete himself and learning the methodology of effective training, he decided to leverage this knowledge to create physical fitness programs to help people who never had the opportunity to experience fitness before. 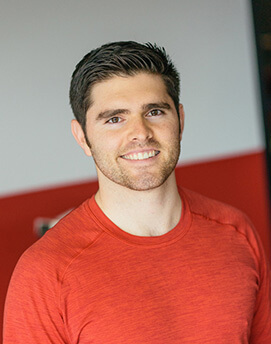 This combined with his passion and knowledge around nutrition allows him to provide a balanced approach for healthy living to all of his clients. His overall motivation is to provide the knowledge he has gained to those who want to make a change for the better. Whether they are looking to become lighter, gain strength, become active, or improve their overall fitness and create a positive helpful relationship with the body and mind, Jared is the answer!